We’ve had a few stories pop up this year that related back to the arcade scene from the early 80’s, specifically convention footage from 1982 and a news report on how much money arcade games made around that time. Right before 2010 comes to a close, here’s another thing from 1982 to share – an old TV documentary from the Netherlands. We can’t embed the video here unfortunately, the person who obtained permission from the broadcasting company who originally produced is asking that it not be shared elsewhere, so we’ll respect that. You can watch the video here @ Driester. You can watch it in Dutch or in Dutch with English subtitles. It’s a fascinating glimpse into a time where video games were still new, and this documentary introduces them to an audience who may have never seen the concept in action before. 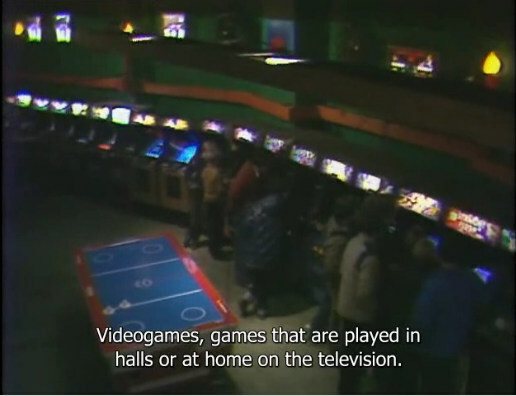 They interview teenagers asking them what brings them to the arcade, they talk with one guy about the possibility of video game addiction, with another about how the games can be difficult(he makes a good comparison of learning how to play classics to fishing) and they spend a bit of time discussing whether it’s a worthwhile activity for kids to be spending their guilders on and regulating who could and couldn’t play. Many arcade titles make an appearance, from Pac-Man (where a boy playing it describes Pac-Man as a piece of cheese, which I had never thought of before but it makes sense) to Donkey Kong, Gorf, Crazy Climber, Phoenix, Vanguard, Centipede, Sprint 2, Super Cobra, Galaxian, Tempest and Qix. They also show a little bit of the Atari 400 computer at the end. Webzine looking for dating advice from…Big Buck Hunter Fans!